Cocktails and bike riding do not go together (aside from the very real safety considerations, the water bottle clip doesn’t hold a martini glass too well). But on June 2, one charitable ride will merge the two passions in honor of Negroni Week. Bartenders and Negroni lovers will come together to ride 43 miles from Levi Plaza in San Francisco to Tiburon and back in the inaugural Team Negroni Bicycle Ride. Every rider is aiming to raise at least $250 for the Helen David Relief Fund, a fund benefitting women in the bar industry fighting cancer, which was founded by mixologist, author and Team Negroni biker Tony Abou-Ganim. Donate to a rider of your choice here. After the ride, the bikers will convene at Levi Plaza for a round of classic Negronis. 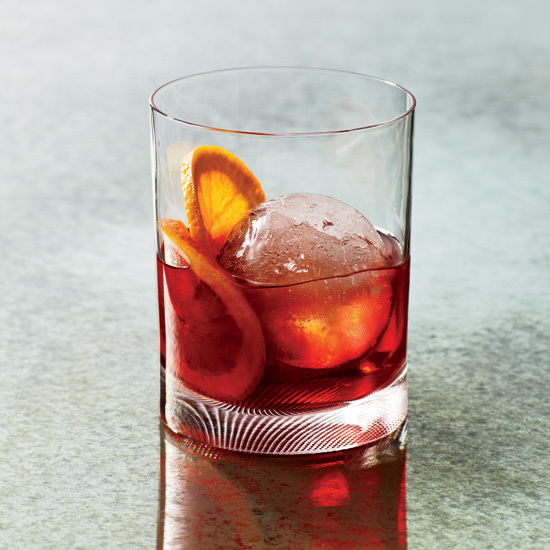 Here, Abou-Ganim shares his recipe for an extra-refreshing take on a Negroni that would be perfect as a post-ride aperitif—or just a thirst quenching cocktail on a hot summer day. In the mixing glass of a Boston shaker set, pour Campari, vodka, Cointreau, blood orange puree, lemon sour and egg white. Shake with ice until well blended. Strain into Collins glass filled with ice. Top with chilled soda water or Prosecco.